There are swarms of seashells on the sand bar at Blind Pass Sanibel. I took my first steps on the beach this morning then spotted shellers on the sand bar with shell bags busting at the seams. It wasn’t even a really low tide! It was a 1.36 and usually this sand bar doesn’t start showing until it gets down to a .5 or lower so this was a nice surprise. Wading back to the beach with the seashell loot wasn’t too bad either. Evelyn (Delray Beach, FL) was thrilled with her shelling victory. Along with FIGHTING CONCHS, COCKLES and WHELKS, she found a SCOTCH BONNET! Great find, Evelyn! Congrats! We’ve seen this sand bar change so often, haven’t we? It has built up slowly but I haven’t found the collecting to be as productive in the last months as it has in the past……until this morning! I shot a quick video just to show you how long the sand bar is now and how many people were shelling on it. Wow look how full that sheller’s bag is!!! Soooooo jealous!! Pam, you really have the life!! Thanks for giving me my shelling fix for today!!! Thanks for the video, Pam. It couldn’t have come at a better time :) I’m in recuperation mode and I should be on the Island this time of year. I found my first scotch bonnet on the beach at Blind Pass, too- congrats, Evelyn!! Here’s hoping I can get there in May- good shelling to all my iLS friends! Mmmmmm! That looks really nice! WOW! great finds!!! Congrats to all the shell-finders! Pam – thanks for the video! Can’t wait to see how Blind Pass will look when we arrive in May! How wonderful! Thanks for the video Pam. I look at my Sanibel shells everyday and long for the day I return! Beautiful! I just love hearing the sounds of the waves too! Thanks for posting the video! Thanks for the video, Pam…always a pleasure to see what’s happen’ at Blind Pass. That sandbar is amazing! And no one has picked up that big ol’ shell that opens the video! Would look great in a garden. Aargh! We were out on the sandbar on Friday with zero success. Bummer! But, congrats to those with the great finds. I love your posts….I am coming to Sanibel in September for the first time….this has been a dream of mine for 10 years and I’m finally getting to go. I love the videos on your site….the sound of the waves and seeing all the shells. I can never get enough of it. I’ve had such a wonderful time going back over all the past posts…they are great. I’m amazed at all the different shells, birds and creatures and look forward to finding thm all! I can’t wait! Keep the posts coming! WOW…we cannot wait to be there on May 5th for several weeks. We love the sandbar. WOW! We are from Virginia Beach and are headed to Sanibel soon for our girls’ spring break. It has been a few years since we have been to Sanibel and so we are really looking forward to finding some GREAT shells. Thank you so much for all the time you put into this blog and website. 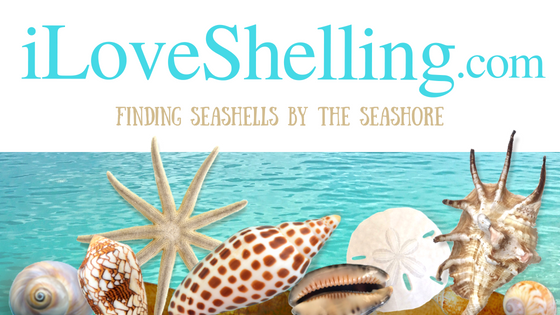 We really appreciate you and your passion for shelling! Wow, am I jealous. I am going to Daytona Beach for spring break and looking forward to it. But I am going to miss the shelling!